Tel Mora ("Tower Forest" in Dunmeris) is the northernmost of the Telvanni-held islands. It is the tower of the Telvanni Councilor Mistress Dratha, one of the oldest of the Telvanni wizard lords. The Tel is typical of a wizard tower in that it has a reasonable community living in smaller mushroom dwellings around the base of the tower. The construction of Tel Mora is also interesting, since the tower itself is set between two islands with a network of walkways over the water. The community has a good range of services, of fairly high standard. Elegnan, the clothier, is known for her exquisite work and the town includes a smith, an apothecary, and a trader. Berwin, the trader, is particularly pleasant, and has an interesting range of goods. All of the residents of Tel Mora are female. If you are male, the guards may allow you to shop in the town and you may get service there, but you should stay well clear of the tower itself. Dratha does not enjoy the presence of men and you may find a far warmer welcome in nearby Vos, a short trip to the shore, costing only a few drakes at the harbor. Boats leave regularly. 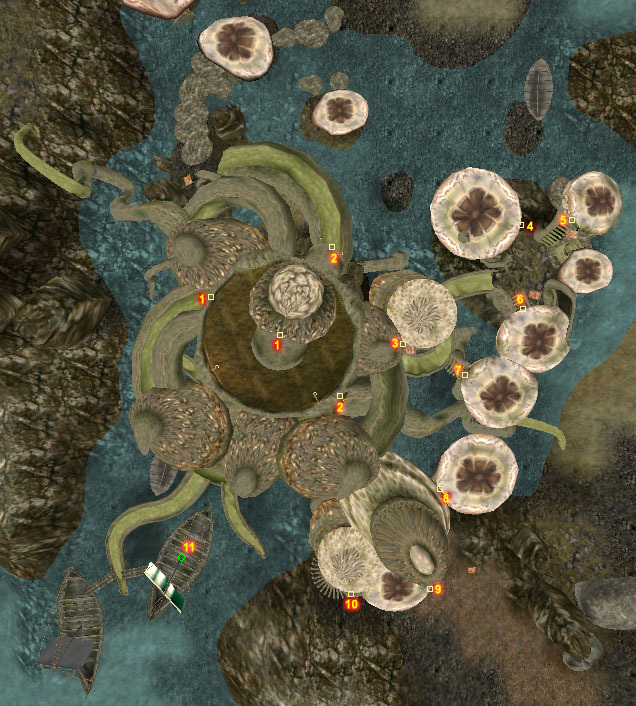 There is also sea transport to Dagon Fel, Tel Aruhn or Sadrith Mora. If you are female, however, you will find a warm welcome in this town and plenty of conversation at The Covenant, the local social center. You will also find that the lower tower provides perhaps the best alchemical supply shop in Vvardenfell, supporting the traditional idea of women's natural propensity for healing and herbal magic. The expertise in all other areas indicates that though women may be good in "traditional" areas, they are also fully capable in virtually all other areas. Dratha herself is quite approachable if you are female. While some may make comments about her age affecting her reason, she is in complete command of her senses and her town. She seems to have reached her very advanced age without falling into the madness of Therana, the isolation of Fyr, or the paranoia of Gothren. The islands of Tel Mora are steep, and there is really very little to do on them other than visit the town. Tel Mora is a lovely place for a rest, if you are an independent woman who is tired of the company of men. For anyone else, it is a good place to shop on a major transport route, and the gateway to the Grazelands. The town is inhabited solely by women, due to Mistress Dratha's dislike for the male gender. Berwen runs a general trader's shop, while Elegnan specializes in clothing. There are plenty of magical services too. Daynali Dren is the town's alchemist, Jolda acts as an apothecary, and Diren Vendu, Salama Andrethi and Tinaso Alan all have spells for sale. Radras sells weapons and armor, and can repair any damaged items, and Thaeril serves up relaxing drinks in The Covenant. It is strange however that two male Telvanni guards patrol the settlement instead of female guards. For a full list, see People in Tel Mora. 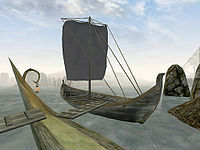 The Pole Star at the docks can take you to Dagon Fel, Sadrith Mora, Tel Aruhn and Vos, although it is quicker to cross the water to Vos yourself. You might hear Rumors about a weary vampire who has a nice ring, but the Drethan Ancestral Tomb is actually closer to Dagon Fel. Tel Vos and Vos are just across the channel.